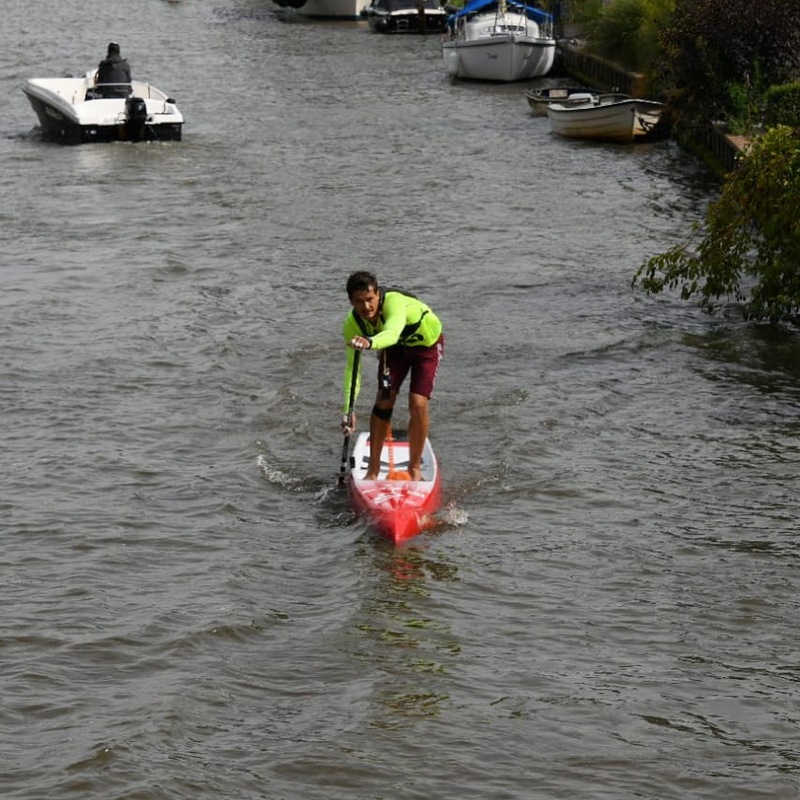 With the SUP 11 City Tour another big event of the 2018 season is in the books. After doing it for the first time I have to say it really humbles you. 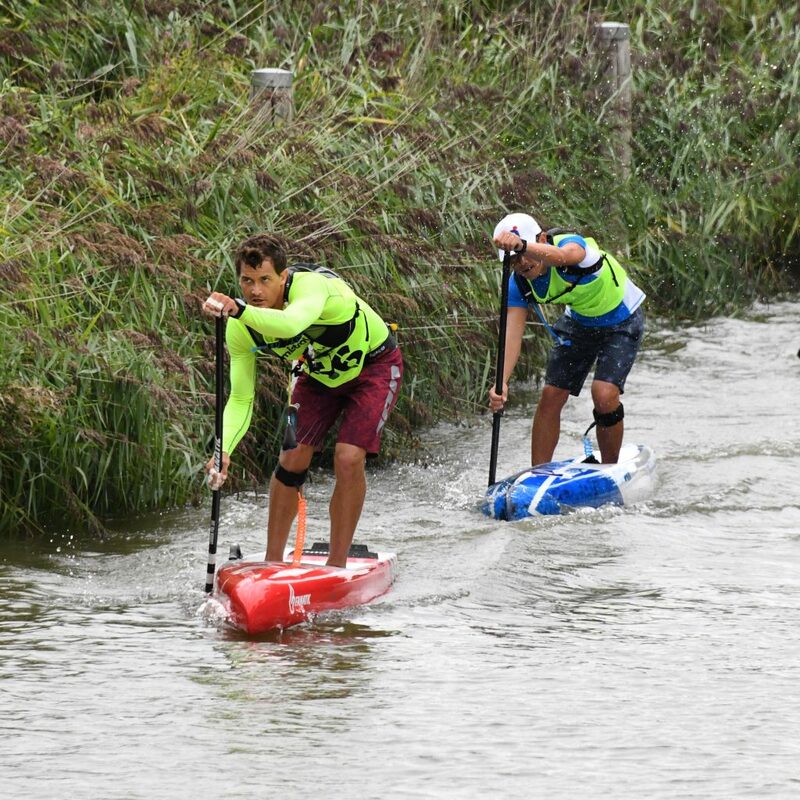 No matter how fast or good you paddle in a normal race, this one makes you suffer. So here is a little recap on the tour. The first day started with good weather and almost without wind. 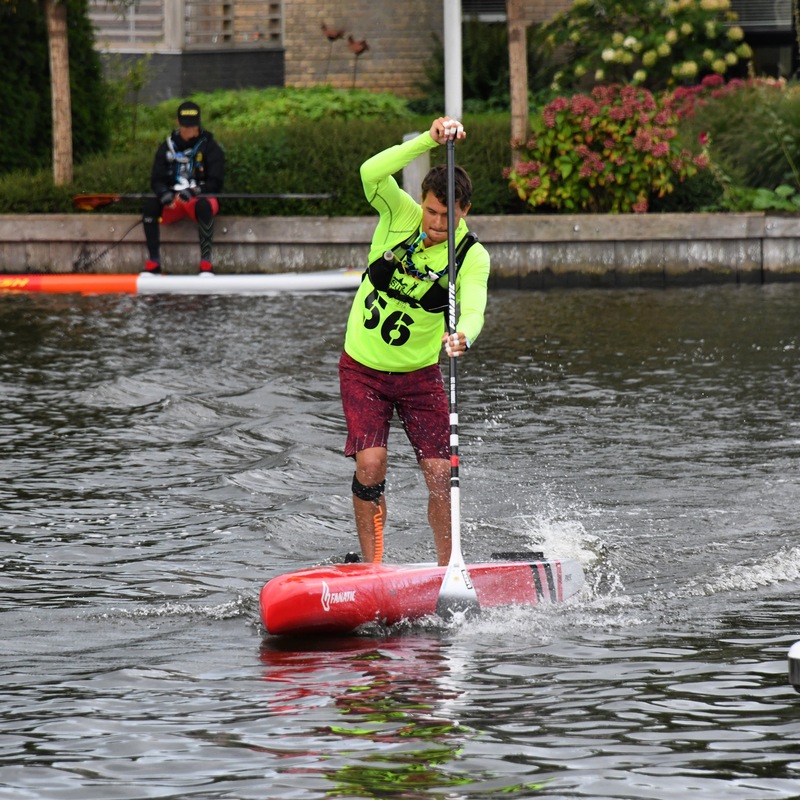 The starting line in Leeuwarden was pretty narrow and the start really chaotic. Managed to catch the wake of Joep, who I lost later due to a mistake under a bridge. From there on it was me and Martijn pushing it together until catching up to Ricardo just before the midway stop. The afternoon was really hot with slight wind from the back. In the end we came in as a pack of three, 8th place for me. The whole regeneration procedure after the race was new to me, it being the first day, so I did my best but in hindsight I failed to eat enough. The morning before the race I woke up hungry, what already felt slightly suspicious. Nevertheless, after a good breakfast, I felt good at the start. After the start on the lake we lost the main draft and worked all morning to get back to them. Richard was on fire, putting out a steady pace to get back to them. Exactly for the resting point it started raining to make it a bit less comfy. After the rest we started as a big draft. The restart as a pack brought me to the front of the pack, leading for some part with Ricardo. After trying to get some rest by getting further to the back of the draft I completely hit the wall and fell off the train after a sharp corner. I guess the whole not eating enough part really caught up. 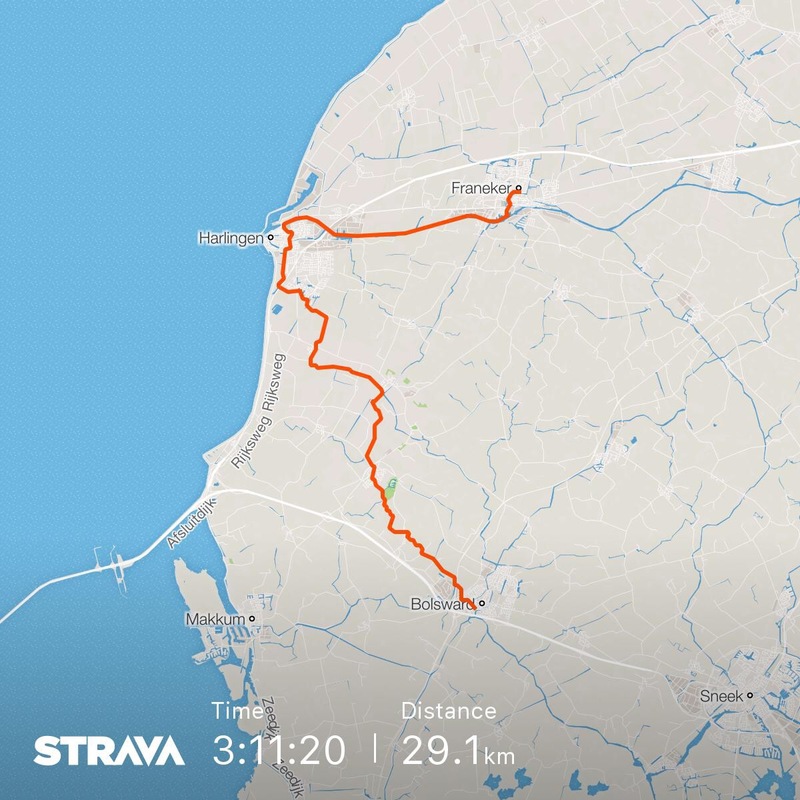 The rest of the day, still about 10km, felt really long after that. In the end I finished 12th, what made me drop back to 10th place overall. So after the race I tried to eat as much as I could to get back stronger on day 3. 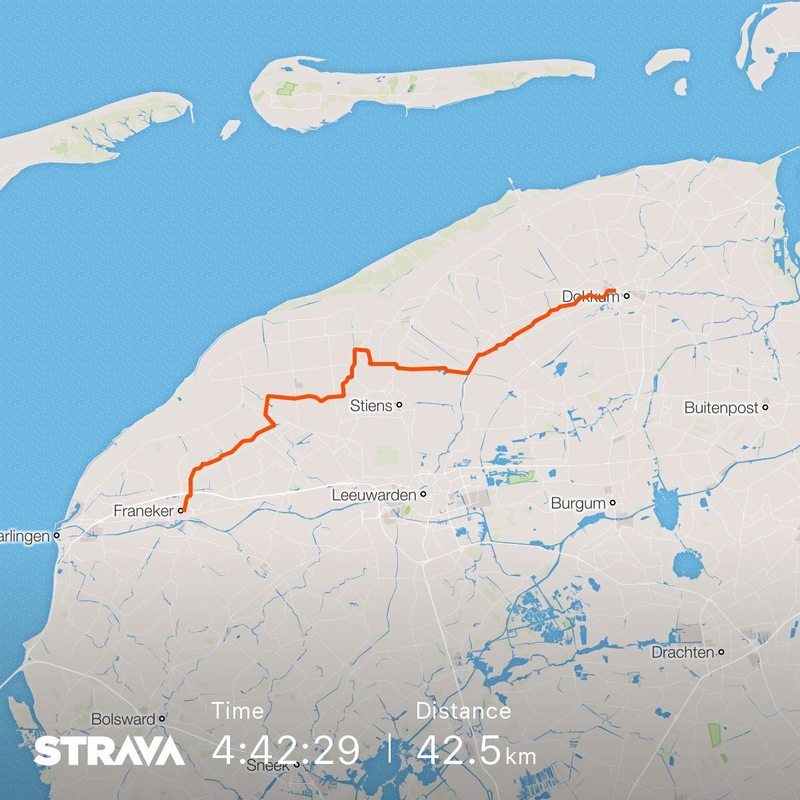 Day 3 started with a 12 kilometer timetrial to Bolsward. Perfect to catch up some time I lost on day 2. 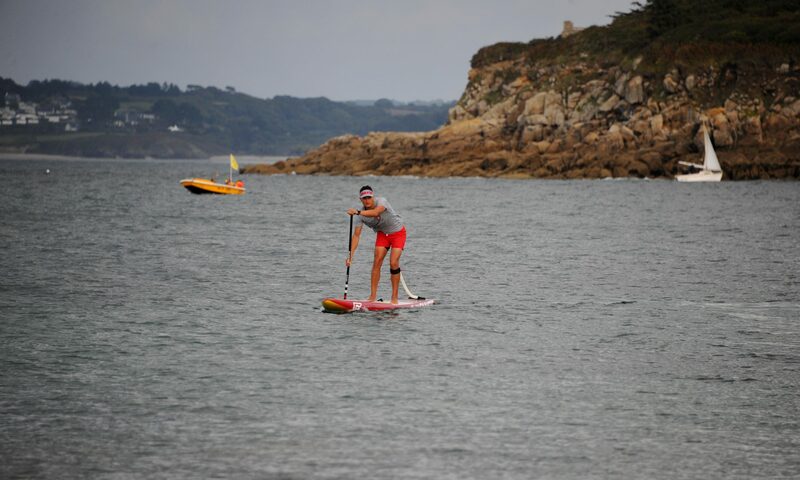 Key was to be as fast as possible, without draining the reserves to much, because we had to paddle another 30km in the afternoon. The plan for the morning worked out great, making me catch up some minutes by getting in at 7th place. After the timetrial we had about 40 minutes rest until the restart for the afternoon. 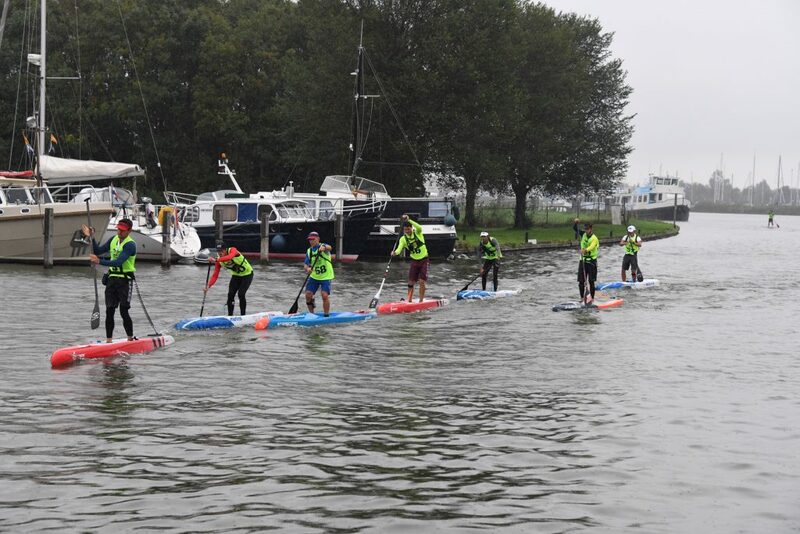 After the restart we paddled in a pack of 4 until the arrival at Franeker. 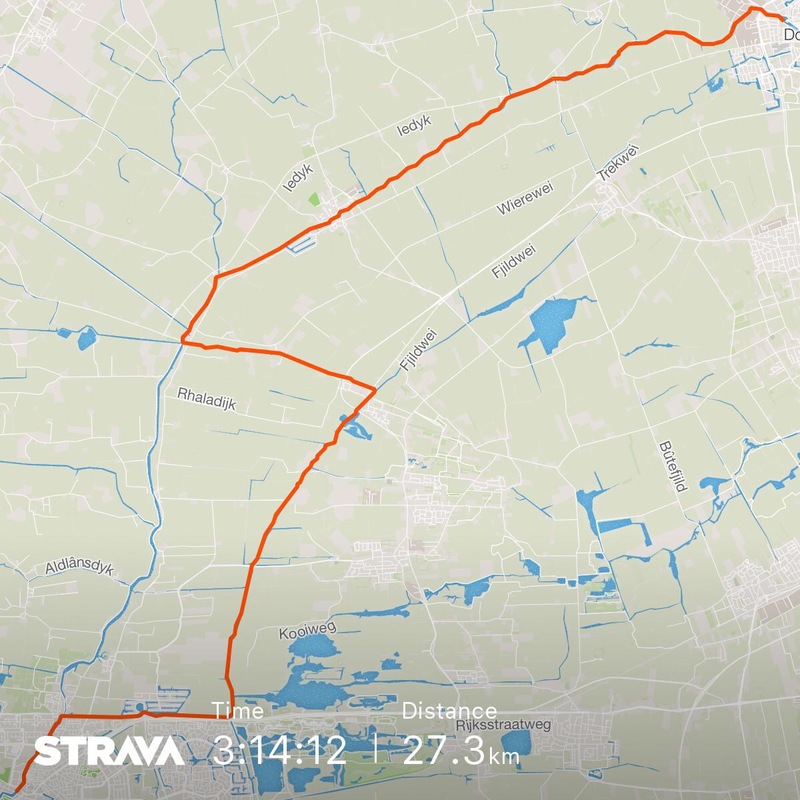 We got lucky with the wind, that really started pushing us into Franeker. In the end I got 9th, holding my position from the days before. Eating more during the race and in the evening really helped me keeping the energy up over the whole days. From there on every day after a race it was 2-3 meals to get the calories back in. The morning of day 4 we all were in a really good mood because of the forecast. 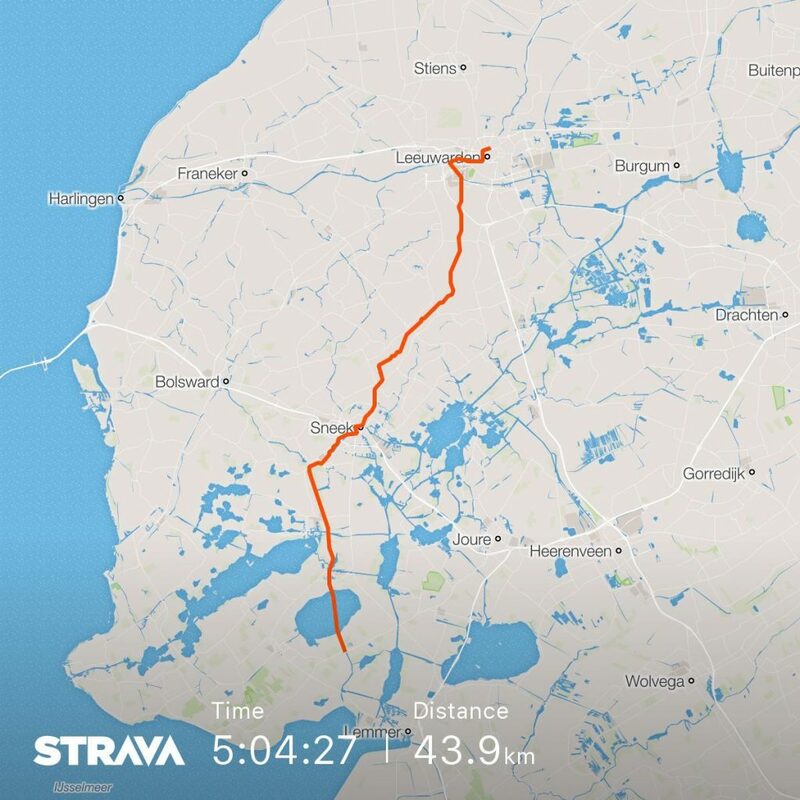 The wind was set to push us all the way from Franeker to Dokkum. 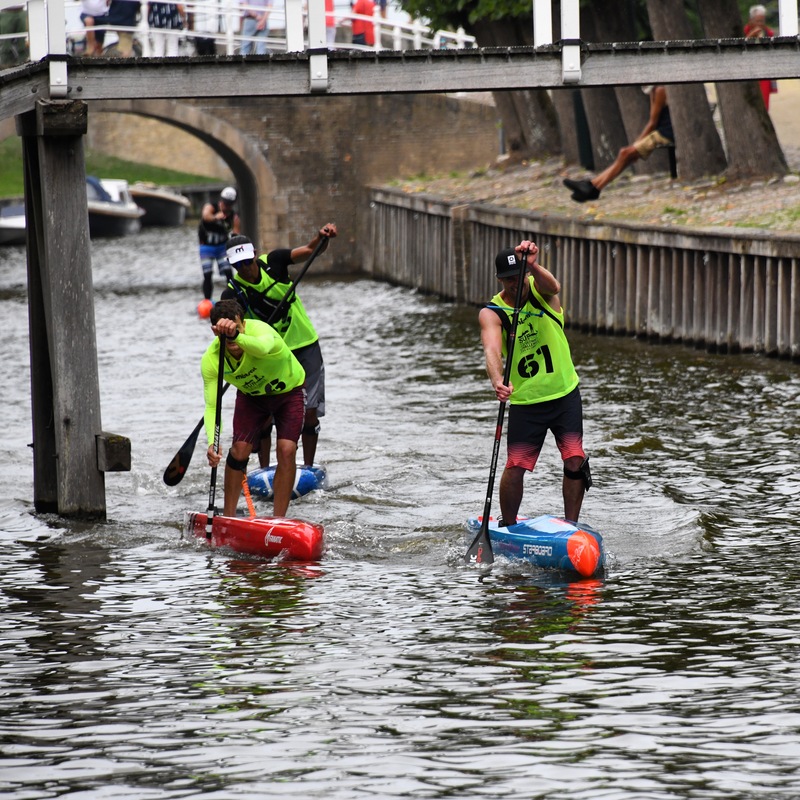 The start in Franeker was really narrow and nervous. 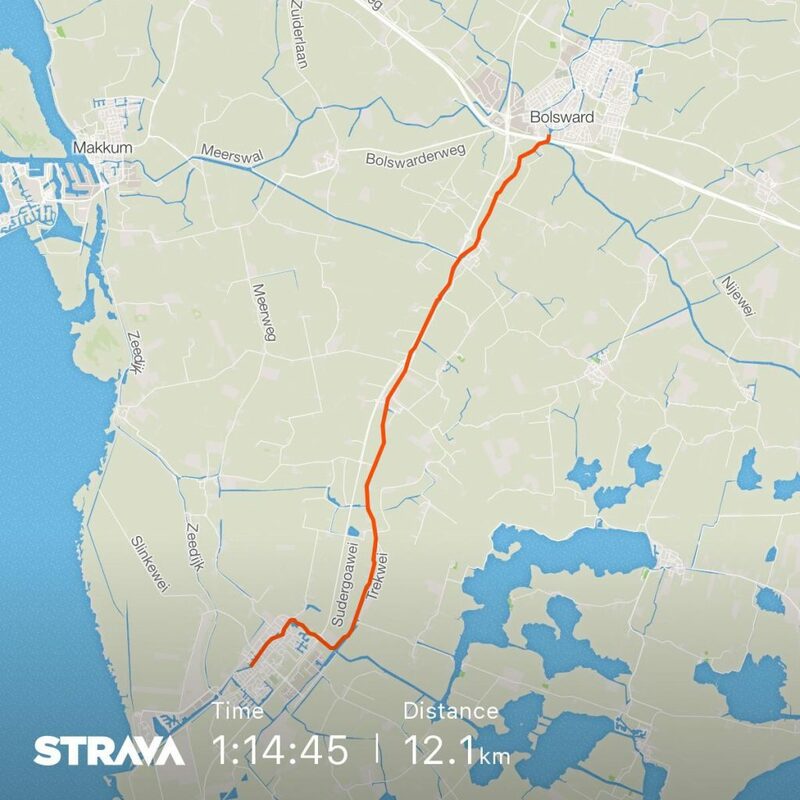 I got a pretty good start but fell off the train after about 5km. Interesting part was the lock that we had to portage after about 11km. The lock split up all the drafts into small packs, giving me the possibility to play some catch up to the guys wo dropped off. After the lunch break I worked with Akira to catch up to James and Martijn who had a solid two minutes lead on us at the resting point. We had to work all afternoon but managed to catch them about 4km before the finishline. Just under the last bridge things got turbulent when James hit his head, so nobody really sprinted for the last 50 meters. Came in 9th and made up some good time on Richard being in 10th. After having favorable conditions for two days we all knew that the last day that would be different. The forecast was 10-20 knots of headwind for almost the whole 27 kilometers. The last day was set up to be another time trial, so no drafting would help us against the wind. At the start I knew that I was in 9th position, with a 5 minutes lead on Richard in 10th and a 3 minutes gap to close to Martijn on 8th. 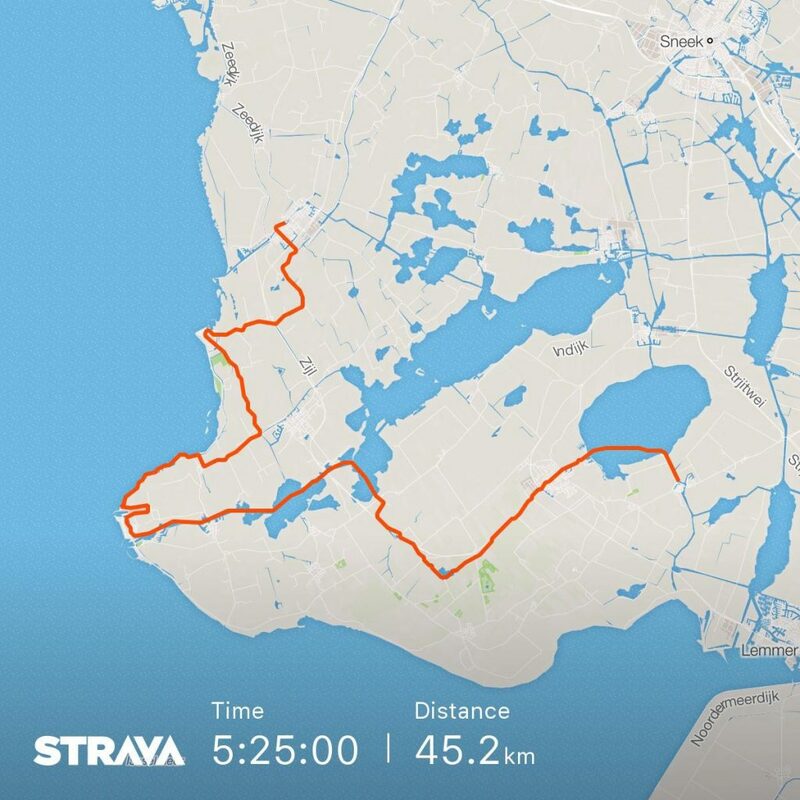 The first 12km were complete headwind until the crossing in Bartlehiem, from where we had about 4km of calmer conditions. I managed to close the one minute head start to Richard on the first upwind stretch. After the calmer conditions we turned right for the last brutal push upwind towards the city of Leeuwarden. It was only after the finish that I knew I may have closed the 3 minutes gap to Martijn. But it was only after the upload of the complete results a few hours later that I had confirmation of my 8th place. All in all it was a really crazy experience. And as they say: the first time you are there to learn, the second one to attack!